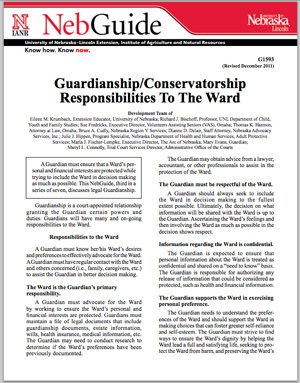 A Guardian must make sure a Ward's personal and financial interests are protected while trying to include the Ward in decision making as much as possible. This is one of seven NebGuides in this series. Also see the UNL Guardianship Web site.